It would seem that the roads that take you to geek heaven don’t run near Jump Street. Phil Lord and Chris Miller are taking on a lot of ambitious projects these days. They’ve been attached as writers for the upcoming Flash film as well as the animated Spider-Man movie. They’ve also been courted to direct the next Star Wars Anthology film, which may focus on a young Han Solo. But with all these projects, something had to fall to the wayside. It looks like that something is 23 Jump Street. So that’s kind of a bummer. Hopefully they can find a great director who can bring the right spirit to the proceedings. The script is still being worked on by screenwriter Rodney Rothman. And actors Jonah Hill and Channing Tatum are still expected to return to the roles of Schmidt and Jenko. 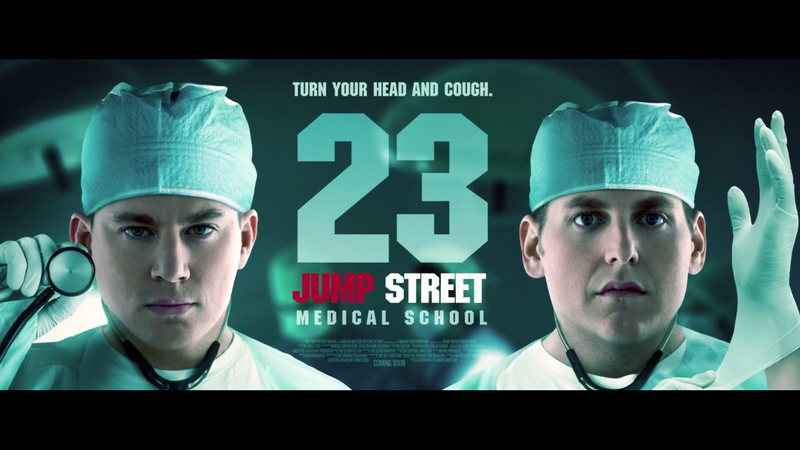 Phil Lord previously talked about an idea that Rothman had regarding the sequel posters that popped up during the end credits of 22 Jump Street. He said that the writer will somehow incorporate all of the posters we saw while giving us something totally unexpected that hadn’t been explored in any of those sequel ideas. Even though Lord and Miller won’t direct, at least we know this film will still have their fingerprints all over it. This entry was posted in Breaking News, Film and tagged 23 Jump Street, chris miller, Jump Street, Lord and Miller, Phil lord. Bookmark the permalink.